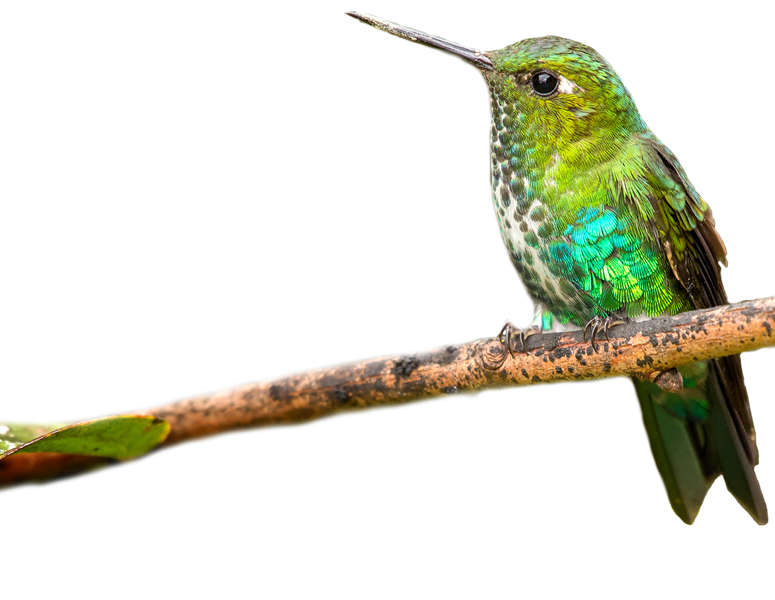 This is a regularly scheduled tour offered by our sister company, BIRD TREKS. 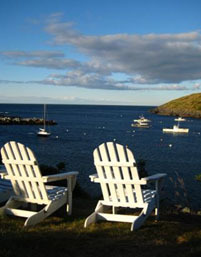 Twelve miles off the coast of central Maine lies Monhegan Island. Monahigan, as it was originally known, means ‘Island of the Sea’. This spectacular little island is one and a half miles long and half a mile wide. Compared to many of the numerous islands in this region of New England it is just a speck in the Atlantic Ocean. 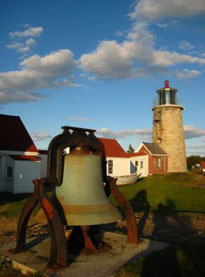 It is home to an artists’ colony and a sizeable lobster fishery. And, in spite of its relatively small size, it is one of the finest migrant and vagrant traps on the entire U.S. Atlantic Coast. The spacious porch and yard of the Island Inn is a comfortable meeting spot, overlooking the harbor. We have conducted numerous birding tours to Monhegan, all in the latter part of September. Our typical tour lasts five days. During that time we see an average of 100 species of birds, the exact number being dependent on the weather. On one particularly bird-filled tour we found 118 different species, our highest total ever. Over the years we have observed nearly thirty different species of warblers, plus a nice variety of vireos, flycatchers, sparrows, raptors, and thrushes. Most migrants are departing from eastern Canada and the northern United States. But on a regular basis we see migrants and vagrants from western portions of North America, some from the southern U.S., and a few from further east in the Atlantic. Spectacular views from the rocky coast . . .
. . . to scan for Common Loons! A typical Monhegan migration fallout, which we always hope for, develops when a cold front moves through with ensuing northwest winds that push migrants offshore. At first light the birds find nothing but water below. Luckily for the birds and the birders, many of them see the relatively isolated island, and down they come. These conditions came together, in a spectacular way, on the final day of our very first tour, in September of 1998. 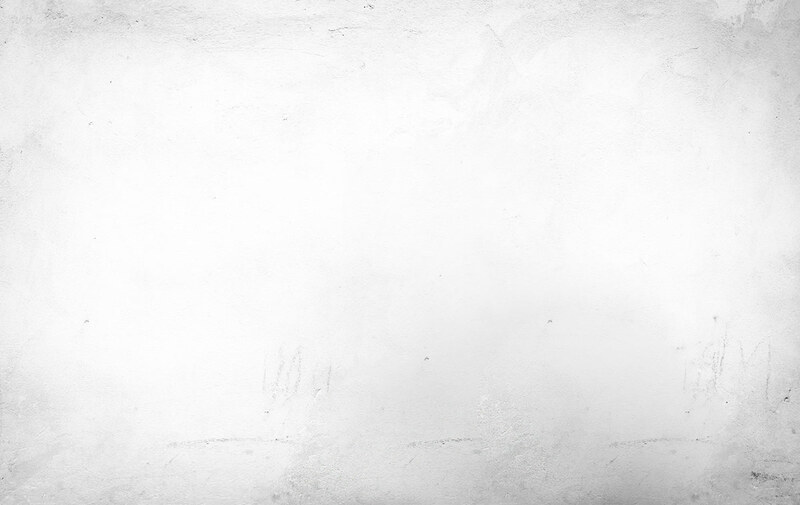 The evening before the fallout songbird flight notes emanated from every portion of the night sky. Numerous migrants flew in front of the beam of the lighthouse. It was going to be an exciting morning! At first light migrants were raining from the sky. Small flocks of songbirds zipped past us. Birds landed on the lawn and at our feet. Trees and bushes filled up quickly. Birds were still descending well after dawn. During those few hours we were constantly looking at new arrivals, mostly songbirds, with a few other varieties mixed in. Several of the more unusual species that we found included two Western Kingbirds, two Dickcissels, three Clay-colored Sparrows, Hooded and Prothonotary Warblers, American Woodcock, Winter Wrens, and an adult Red-headed Woodpecker. It was a very exciting and action-packed morning of birding and an incredible ornithological spectacle. All of the previous days of the tour had provided great birding; this final day was phenomenal! Unfortunately, our ferry to the mainland departed at noon. None of us wanted to leave the island! But alas, away we went. Unusual visitors from the south . . . There are 17 miles of trails that lead to a number of productive birding spots around the island. All of the birding is done on foot. The only motor vehicles on Monhegan are the few that are used to transport goods and supplies from the harbor to residents’ homes and places of business. So there is no rush hour traffic on this island! Many birds can be found in the village itself. 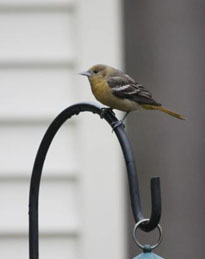 Flower gardens, berry bushes, and hedgerows provide food and cover for resident and migrant songbirds such as Blue-headed Vireo, Least Flycatcher, Carolina Wren, Baltimore Oriole, and Cedar Waxwings. 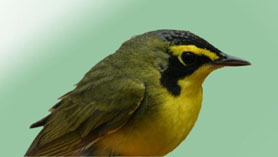 Various Warblers include Nashville and Magnolia, Common Yellowthroat, and American Redstart. There are relatively few records of Say’s Phoebe in the entire state of Maine.  We have found this species on Monhegan on two occasions, once in the village, once on Manana Island! A few private feeding stations are very attractive to sparrows and related species. 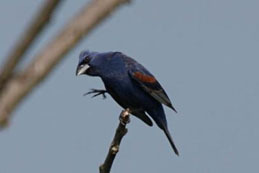 Mixed feeder flocks often include Lark, Clay-colored, and Lincoln’s Sparrows, and sometimes Indigo Bunting, Blue Grosbeak, and Dickcissel. A daily visit to Lobster Cove at the south end of the island is always enjoyable and can be quite productive. A small marsh has on occasion yielded Marsh Wren, Nelson’s Sparrow, and Virginia Rail. There may be small flocks of Buff-bellied Pipits and a shorebird or two on the pebble/shell beach. The large flock of Common Eiders has been known to produce the much less common King Eider. Careful scoping may yield White-winged, Surf, and Black Scoters, Common Loon, Red-necked Grebe, Great Cormorant, and numerous Northern Gannets. We also search for Great Shearwater, harbor seals, and the occasional Parasitic and Pomarine Jaegers. We once found an incredibly exciting adult female Magnificent Frigatebird, the first and possibly only Monhegan record for this southern species. It was most likely pushed up the Atlantic coast by hurricane Isabel. We observed it flying south a few days after the passage of the hurricane. 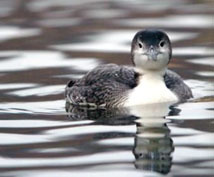 On subsequent days a bird of similar plumage was seen at Gloucester and Marblehead, Massachusetts, and then on Long Island, New York. Seeing this bird so far away from its normal range was quite a treat! In September 2012 we successfully helped this juvenile American Herring Gull that had monofilament fishing line wrapped tightly around its leg. As you can see, the rescue was a group effort! Before refrigeration was available, the fishermen and residents used ice for their needs. Where else would the ice be harvested than at Ice Pond? Cutting ice is no longer a necessity, but Ice Pond lives on, and is one of Monhegan’s prime birding locations. My very first trip to Monhegan was a day trip. I took the ferry alone, over and back on the same day. I had heard a lot about Ice Pond and headed straight there. 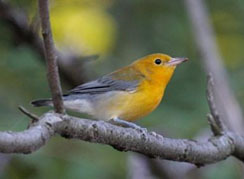 My best find was a Brewster’s Warbler, a hybrid between a Blue-winged and Golden-winged Warbler. I was ecstatic! To this day it remains the only hybrid of this type that I have ever observed. Other interesting species to be looked for here include Wilson’s Snipe, Solitary Sandpiper, Sora, and both Black-crowned and the occasional Yellow-crowned Night Heron. And there can always be a surprise or two. Bald Eagles and Black Guillemots are usually seen before we depart from the dock at Port Clyde. A typical 70-minute ferry ride to the island may yield Great Shearwater, Parasitic Jaeger, Black-legged Kittiwake, and numbers of Northern Gannets. The most expected whale is minke, and we sometimes observe a pilot, fin, or humpback whale. 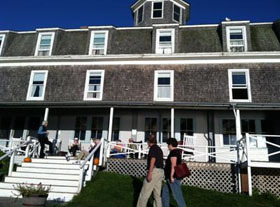 Upon arrival at Monhegan we check into our rooms and then begin birding. The many trails and few dirt roads that weave their way through this town misplaced by time give us many chances for studying Tennessee, Nashville, Magnolia, Black-throated Green, Palm, Blackpoll, and Wilson’s Warblers, among numerous others. The island is sometimes inundated with Black-capped Chickadees, Purple Finches, and Baltimore Orioles. Other highlights to search for include Yellow-breasted Chat and perhaps a Yellow-bellied Flycatcher. Merlins commonly harass their quarry, while Sharp-shinned Hawks chase the abundant Northern (Yellow-shafted) Flickers and Blue Jays. From the rocky coast we watch as Northern Gannets of all plumages dive for fish, and Common Eider, Black Scoter, and Black Guillemot patrol the shores. Great Cormorants are usually in evidence among the more common Double-crested Cormorants, and harbor seals relax on the smaller islets. Grey seals have some favorite sunny rocks at the north end of the island. Buff-bellied Pipits will be on the rocks or the beach, usually at close range. An occasional White-crowned Sparrow may join the mixed flock at Tom and Josephine’s feeding station, and we look for Bay-breasted and Prairie Warblers among the many other species in and around the village. Blue Grosbeaks, Yellow-billed Cuckoo, or Red-headed Woodpecker are always nice finds this far north. The raptor shows continue, with the Merlins dive-bombing everything that flies, many close Peregrine Falcon encounters, and good looks at Sharp-shinned Hawks, Western Ospreys, and Bald Eagles. Nice accommodations, friendly residents, visitors, and other birders, and great food, especially fresh seafood, all add to the experience that is Monhegan Island. Speaking of great food, there are several fine eating establishments, and we will visit them all. Just wait until you taste the lobster and scrambled eggs that the Island Inn serves for breakfast – WOW! We hope that you will join us on a future tour. 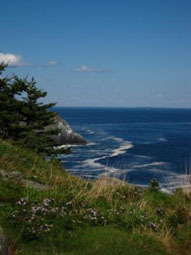 Monhegan Island is a truly wonderful birding destination. 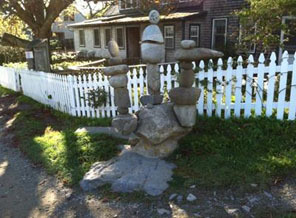 As an artists’ colony, Monhegan is famous for its lawn art.